Step out of your comfort zone with bottles from these trending winemaking areas around the world. National Drink Wine Day is February 18. (For those of us who often partake in the grape, this is admittedly a totally unnecessary holiday.) But the day can be a reminder to each of us to eschew the tried and true. Here are six spots whose wines are just waiting for you to discover – or consider in a new way. Cheers! When people think of Italian wine, they first think of the Tuscan countryside admits Antonio Rallo, founder and president of Sicilia DOC. But Sicily is actually the country’s biggest region for viticulture. “Sicily is abundant in a diversity of landscapes and microclimates, and an abundance of natural resources that yield a great variety of red and white wines both elegant and complex, approachable and bright,” he says. Oenophiles seeking regional flavors as well as a deep history and cultural backstory will want to grab a bottle – or book a flight, as Sicily’s varied soils, exposures and altitudes, coupled with its windy and dry summer, make it a textbook region for winegrowing (and a gorgeous vacation destination). The island’s most popular white grape, Grillo, offers up vibrant fruit and ample acidity; the wines it produces tend to be more distinctive and flavorful than ubiquitous Pinot Grigio, not to mention a fresh alternative to Sauvignon Blanc. Ruby-hued Nero d’Avola boasts flavors of tart cherry, raspberry, blackberry, plum, currant and spice, along with silky, approachable tannins. 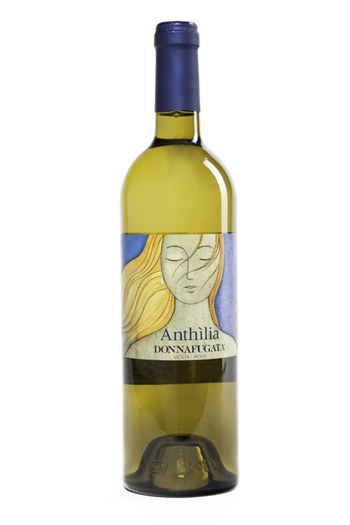 2013 Donnafugata Anthilia ($15): Mainly produced with Catarratto, an indigenous white varietal, the wine has herbaceous and melon aromas along with zesty acidity and palate-prepping acidity. 2015 Mandrarossa Nero d’Avola ($12): An inky purple color is joined by intense aromas of black cherries, plums, mulberries and soft spice, similar flavors on the palate and a balanced and fresh finish. Greek wine is hot. The country’s wine industry (the oldest in Europe) dates back some 6,500 years, so it’s safe to say that the Greeks know a thing or two about what goes into the bottle. But the offerings from its largest island (whose inhabitants proudly view themselves “Cretans” over “Greeks”), are often overlooked in favor of those from the mainland or the island of Santorini. Crete happens to be the southernmost point in Europe, boasting several micro climates, high altitudes and varieties of soil types (limestone, clay and oyster fossils) that easily lend itself to the planting of lots of indigenous varietals. There is also a persistent maritime influence, as well as warm winds coming up from the African continent (which ripen grapes), and cooler winds from the north (which keep acidity levels fresh). “Consumers are genuinely excited to try wines from Crete, as there is an immense amount of history from the island, great culinary recipes, and of course great wines that have improved significantly in the last 15 to 20 years,” notes Andreas Zinelis, portfolio manager for Cava Spiliadis. Vidiano: A full-bodied white varietal that’s the Greek version of Chardonnay, with stone fruit and floral notes. Plyto: A white varietal with notes of citrus fruits including lime and grapefruit, and elevated acidity. Kotsifali: A red varietal similar to the Gamay grape that’s used for Beaujolais, with luscious red fruits, high acidity and low tannin. 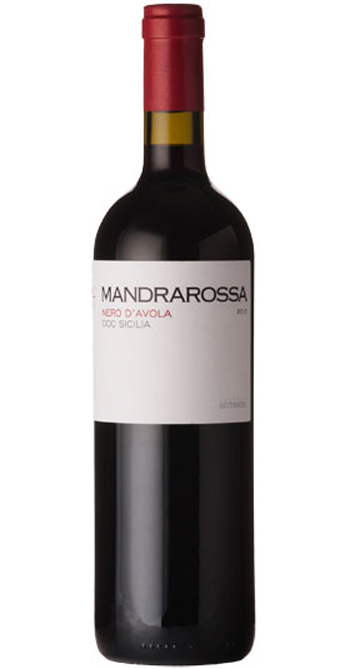 Mandilaria: A red varietal that offers ripe black fruit, great concentration, low acidity and ample tannins. Sloped vineyards, hand harvesting, a whole lot of Gewürztraminer, and mild daytime temperatures... Must be one of Germany's wine regions, right? No, it’s actually northern Italy. Three hours east of Milan, close to the Austrian border, the feel here is decidedly Germanic. Signage is listed first in German, and then in Italian (and residents switch back and forth between languages at a rapid-fire pace), and the wines are staggeringly well made, with pronounced minerality and a lengthy finish. 2015 Cantina Terlano Santa Maddalena ($21): A blend of 85% Schiava and 15% Lagrein, this super sipp-able wine has a deep ruby red color, aromas of tart cherry and violet, low tannins and medium acidity. 2014 Nals Margreid Lyra Gewürztraminer ($24): Distinctive aromas of roses and lychee are joined by a full-bodied palate and a long finish. Close to the French border, this Spanish wine region is known for its very old bush-trained Garnacha vineyards found throughout its four separate DOs: Campo de Borja, Calatayud, Cariñena and Somontano. “Consumers gravitate to Garnacha from these areas for their full, fruit-forward character,” explains Katrin Naelapaa, director of Wines from Spain USA. “Generally, they are less tannic and see shorter oak aging regimes than other reds from Spain, and the quality [and] value of these wines is exceptional.” This translates to easy-to-drink reds that don’t require time on the shelf, and food friendliness with everything from tapas and cheeses to grilled fish and meat. Aragon’s altitude gives an extreme diurnal shift (keeping wines fresh and balanced), while the arid conditions and soil types (stone, sand and loam), contribute to vines’ health and longevity, and wines’ concentration, Naelapaa adds. In Somontano, Garnacha is often grown alongside international varietals like Chardonnay, Gewürztraminer, Merlot, Cabernet Sauvignon, Syrah and Pinot Noir, meaning familiarity is an added advantage for the American consumer, says Mariano Beros Bandrés, president of the Consejo Regulador de la Denominación de Origen Somontano. 2015 Los Dos Red ($9): A blend of 85% Garnacha and 15% Syrah from DO Somontano, this wine is approachable and soft, with notes of cherries and blackberries, low tannins and an elegant finish. 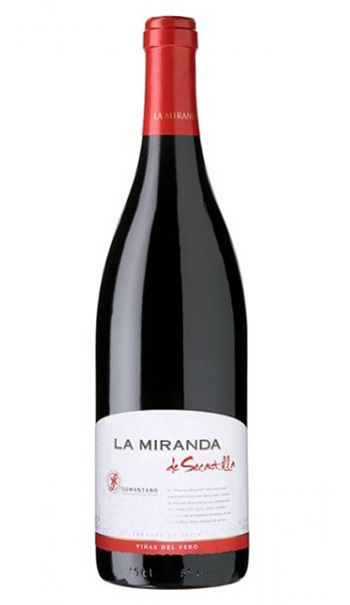 2012 Vinas del Vero La Miranda de Secastilla Garnacha ($30): Cherry, strawberry and violet aromas are followed on the palate by fruitiness on the palate, some toastiness resulting from maturation in French oak, and a pleasant and lengthy finish. Chenin Blanc (traditionally called Steen in South Africa) was long viewed as a workhorse grape. It’s still the country’s most widely planted varietal, but winemakers have noticed its fascinating ability to adapt to its terroir, producing a range of styles from sparkling, to still, to unctuous dessert wines. Its current median style, Clarke describes, “has a rounded body that appeals to Chard fans, aromatic generosity that satisfies the Sauvignon Blanc drinkers, and a freshness that Pinot Grigio drinkers look for.” It can also be blended with Grenache Blanc, Clairette Blanche, and Viognier for complexity. On the red side, the popularity of funky, esoteric and difficult-to-grow Pinotage (a Pinot Noir and Cinsaut hybrid) has given way to Rhône-style and Bordeaux-style blends. “These wines are often more complex and over-deliver thanks to the careful layering of elements from the different grape varieties,” says Clarke. There is also wider availability of varietally-labeled Cinsaut (also called Cinsault), especially in a light and fresh style that’s perfect slightly chilled. 2016 Ken Forrester Old Vine Reserve Chenin Blanc ($14.99): Full-bodied, with aromas of melon and spicy baked apple and soft flavors of caramel and honeycomb. 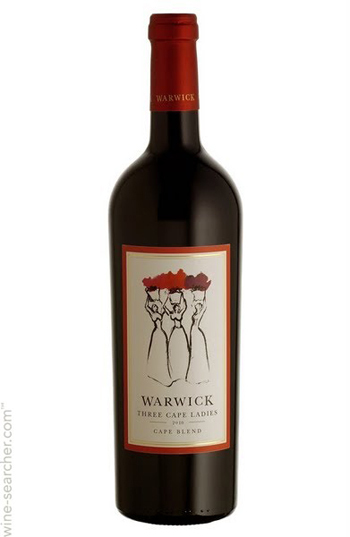 2013 Three Cape Ladies Cape Blend ($29.99): A blend of Pinotage, Shiraz and Cabernet Sauvignon, this wine has notes of red fruit like strawberries and cherries, along with leather, licorice and tobacco. France’s second-biggest AOC region after Bordeaux offers a treasure trove of wine styles, from the primarily Grenache-based blends in the south to the 100% Syrah or Viognier bottles in the north. Guillaume Valli, winemaker for Les Dauphins, admits that some wine drinkers always associate the region with the big, bold, beefy Châteauneuf-du-Pape, but more are realizing that Côtes du Rhône blends have an elegance and versatility – especially for the price. “I like to compare my work to the one of a painter,” Valli says. “I have a sophisticated palette of grape varietals and play with combinations to ensure the best possible results in the most consistent way, whatever the vintage.” That, coupled with so many terroirs, equates to unlimited possibilities here. At the forefront is Grenache, which in the hot and sunny climate of the southern Rhône imbues wines with velvety roundness, red and black berry notes, and lots of balance. In the last decade, there has been a trend to returning to converting vineyards to organic viticulture, foregoing the use of sulfites, harvesting only when full aromatic maturity is reached, and using lesser-known grapes. “Our techniques in the cellar have also been perfected, improving our ability to deliver well balanced, crisp rosé and white wines,” says Valli. Les Dauphins Côtes du Rhône Reserve Blanc ($12.99): A blend of 65% Grenache, 15% Marsanne, 10% Clairette and 10% Viognier, it has notes of grapefruit and peach, with a zesty lemony acidity. 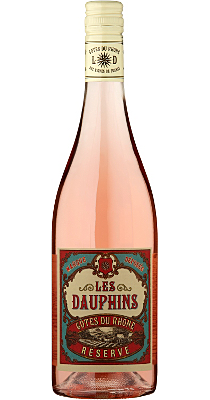 Les Dauphins Côtes du Rhône Reserve Rosé ($12.99): A blend of 75% Grenache, 15% Cinsault and 10% Syrah, its bright pink color is joined by aromas of lychee and red fruit, vibrant acidity, full body and a crisp finish. 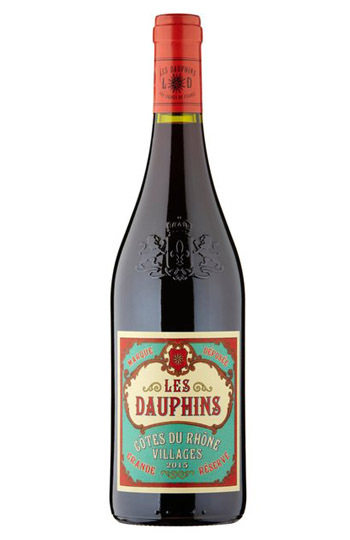 2015 Les Dauphins Organic Côtes du Rhône Villages Rouge ($14.99): A blend of 60% Grenache, 30% Syrah, 5% Mourvèdre and 5% Carignan, the wine has a deep red hue, aromas of spicy black fruit, a full-bodied, concentrated palate with soft tannins, freshness and a long finish.